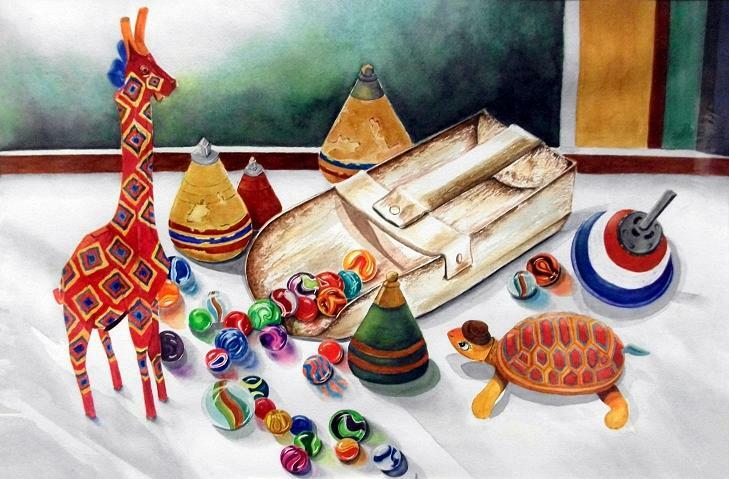 "Tops & Toys" by Gerri Knobbe Watercolor. 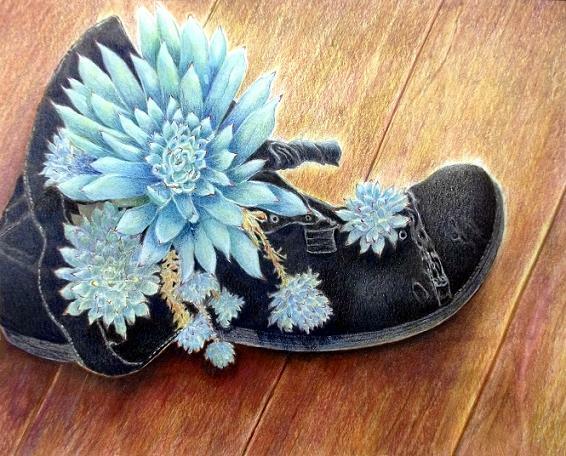 "Old Shoe Repurposed" by Gerri Knobbe. 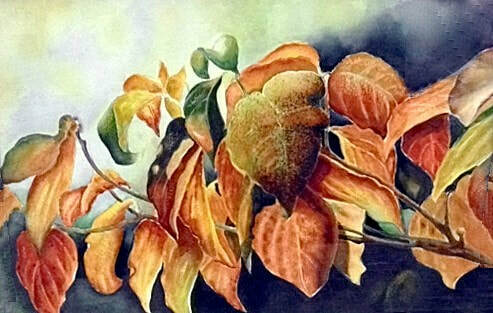 Color Pencil.